I am really impressed with the work of Luminous R&D guys who developed this model with some awesome features, which are really useful for normal home user. I am very much satisfied when I saw this specification in the manual. We can connect up to 400 watts solar panels with Luminous Home UPS, so we can use solar energy to maximum and save money on electric bill. Sukam Brainy Solar Home UPS is the potential competitor for Luminous Solar Home UPS, But we can connect up to only 240 watts panels with sukam Brainy solar UPS (3 x 80 watts solar PV). Luminous Solar Home UPS clearly outperforms Sukam solar Inverter in this maximum solar panel compatibility. 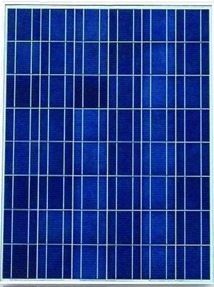 As of now, Luminous Solar UPS is the best in class as far as Charging Current is concerned. In many states of India more than 10 hours power cut exists, many people have asked for quick charging Pure sine wave inverter to charge their 150 ah battery in very short time to handle 10+ hours power shedding problem. Luminous Solar Home UPS has a function called ‘i-charging’, which enables 15 amp charge current to quick charge the battery connected to it. We can connect 150 ah or 200 ah battery with this UPS. 200 ah battery would be helpful in saving more energy from solar PV modules and use it at night time. Have you ever heard of this facility in any other brand? Luminous solar UPS has both AC and DC out put option. AC output is common and everybody knows the purpose of it. With DC output, we can use DC fan, DC light and much more DC gadgets. Max. DC Load Output – 12V up to 20 A – which means we can use up to 240 watts per hour. Now all modern day inverters are equipped with battery type selection switch. Luminous Home UPS also comes with this facility. Three options are there – Normal flat plate battery, Tubular battery and Local Battery. Inverter adjusts itself and gives better charge according to the battery selection. This Inverter uses current from solar panels as the primary source to charge the battery which results in money savings up to 30 % on electric bill. Who prefers square wave current nowadays? Luminous Solar Inverter delivers pure sine wave current which is safe for our sensitive electronic gadgets like LCD, LED TV’s, Computers, mobile chargers and laptop chargers. For your Information: Microtek Solar Hybrid Inverter is a square wave gadget. This facility is available in some advanced models only, when inverter senses no load, it automatically shuts down the output to save battery. Ups Inverter Info Copyright © 2019.